With March being the month of shamrocks and St. Patty’s Day, it seem appropriate to feature some green drinks. Last May, I was first introduced to Ocean Vodka. Since they were kind enough to do some special cocktails for last month, who better to ask for March? Truthfully, I can enjoy a good mojito any time of year. Norm and I enjoyed the organic vodka and thoroughly found visiting the facility on Maui amazing. In addition to it being a family affair, three generations of the Smith family have grown up on Maui. The water used in the vodka comes from 3,000 feet below the big island of Hawaii. When brought to the surface, it’s organically purified. Rather than go on about the Ocean Vodka’s history, let’s get to the cocktails. You can read more in depth about this organic product on the website. I just wanted to give you a little background to intrigue you to discover more. 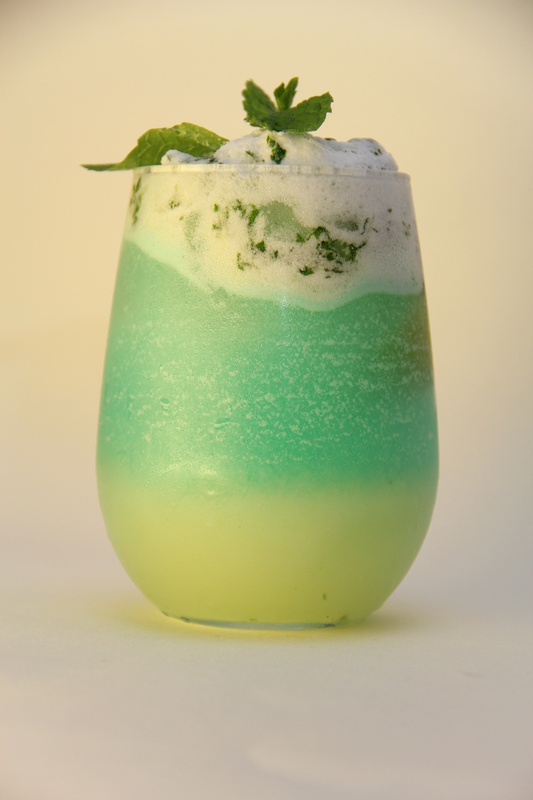 In a shaker squeeze 1 lime wedge and drop into shaker, add 10 mint leaves and ¾ oz simple syrup. Muddle vigorously until it is almost a paste. * Shake Vigorously until the ice has broken down and the noise is less than half than when shaking began. Pour contents into a large rocks glass or highball. Tear organic basil leaves and place in the bottom of a shaker. Pour in 1 ounce of simple syrup and muddle together. Juice ¼ of the whole pineapple and pour into the cocktail shaker. Add 1 cup of ice. Pour 2 ounces of Ocean Vodka over the ice. 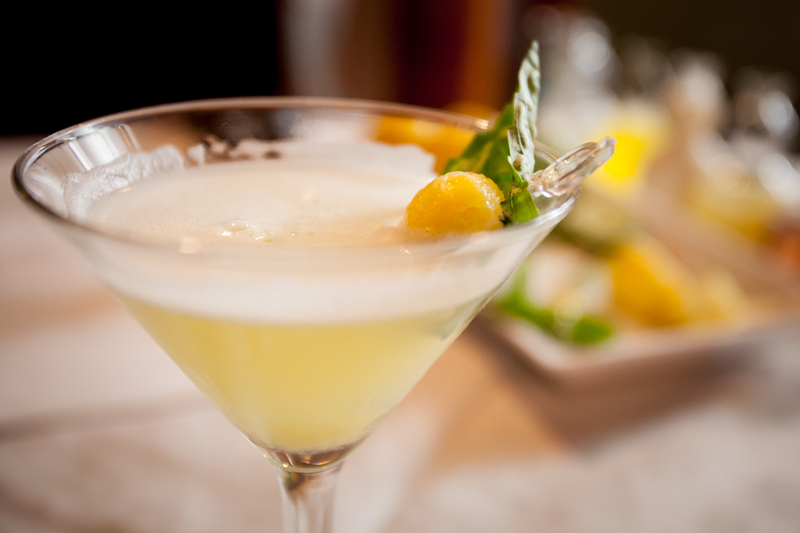 Garnish with a slice of pineapple and a basil leaf. 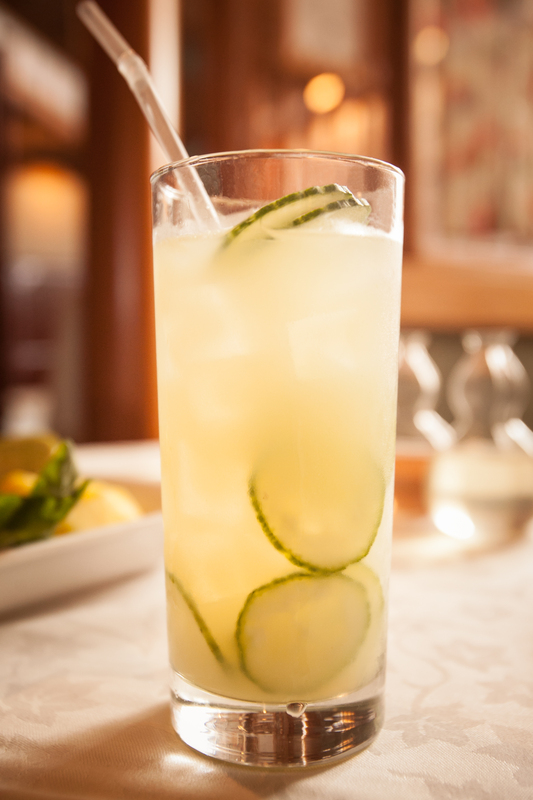 Muddle cucumber briskly with sour. Add puree and vodka with ice, shake and pour into highball. Garnish with thin cucumber wheels floating. Cheers and enjoy. Let us know your favorite and enjoy the touch of green all of these cocktails feature. To read the Luxe Beat Magazine version of this article click on the title St. Patty’s Day Cocktails.